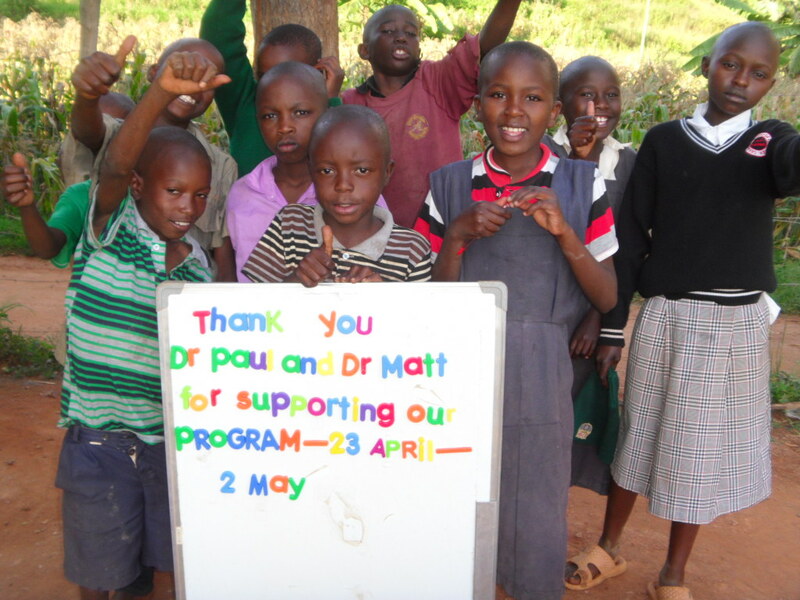 Running a program with only volunteers in Canada and a very overworked staff in Kenya means that at times we ‘miss’ something. 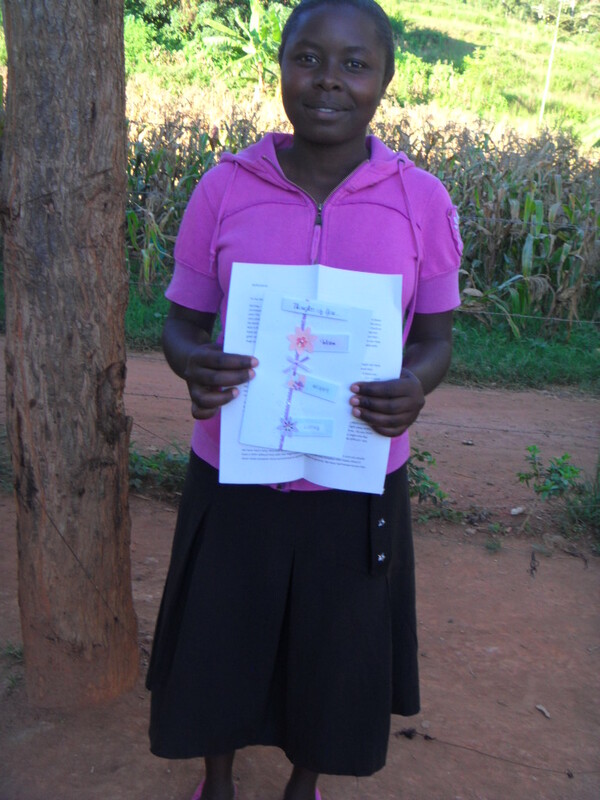 We recently had a sponsor contact us to say that she didn’t know if her child had received a parcel that was sent or that money she had donated for specific items had arrived. Both had arrived and we simply didn’t remember to pass on those pictures. We greatly appreciate anybody letting us know when we’ve overlooked, missed, forgotten or gotten something wrong. Sometimes this is as simple as spelling a name wrong on a thank-you sign or directing an email to somebody it was not intended for. We are far from perfect but hope to be perfect in correcting any mistakes we make. Please, please, please never feel badly for asking questions or drawing to our attention anything that might need to be fixed. 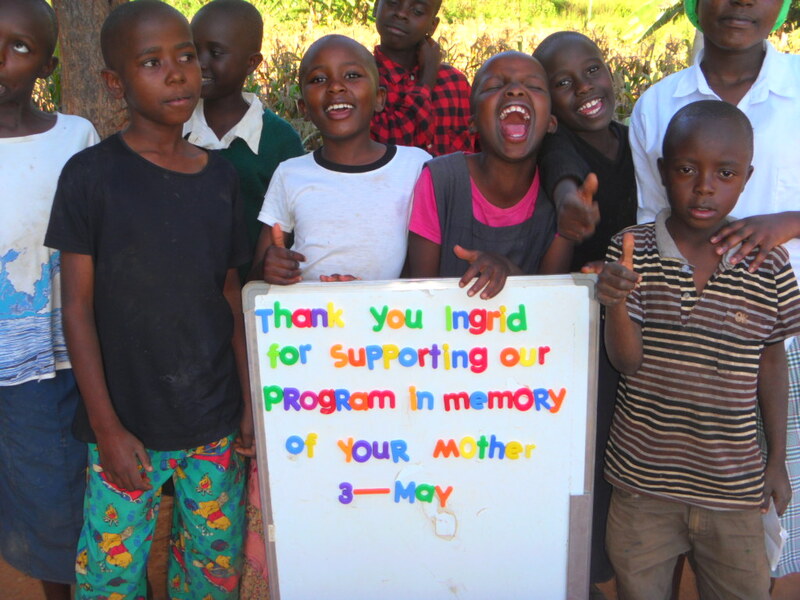 In going through this month’s update I realized that two different sponsors have been given credit for supporting our program for May 3. I have contacted both Jeff Stone of Sophiasburgh Central School and Ruth to give the school credit for one more day that is not May 3. Our apologies for this oversight, but we felt we needed to include it in the update as our errors need to be part of our full disclosure and transparency. 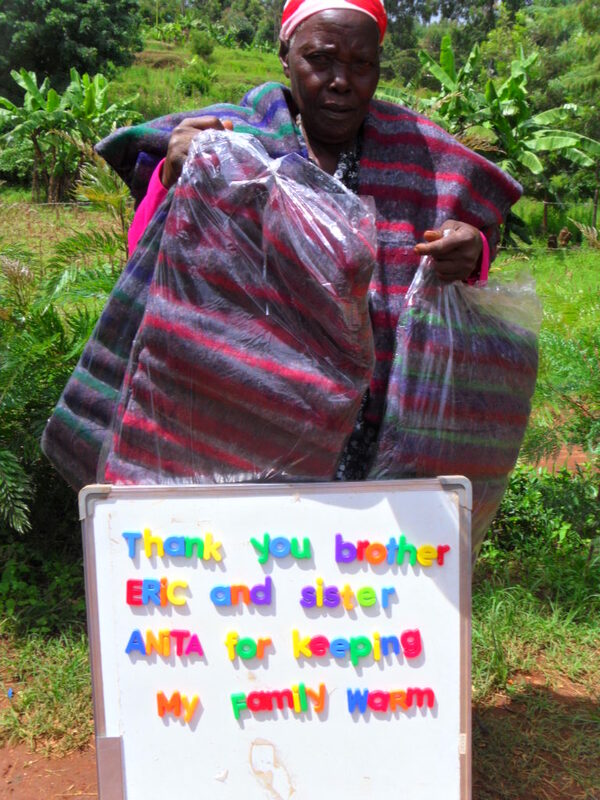 Connor Clerke – who with his family sponsors a young boy and who has visited Kikima twice before has agreed to take on some additional responsibility. 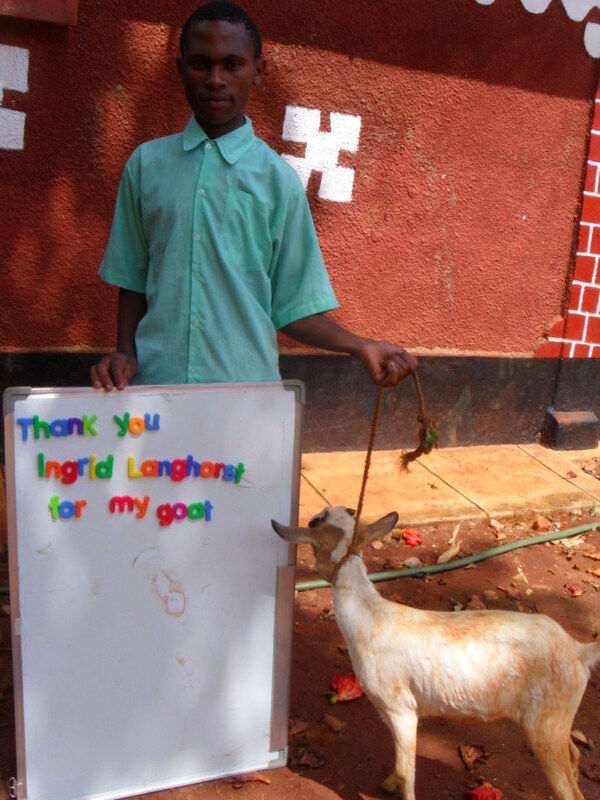 He will be helping Lisa Farlow in putting up our monthly updates. Great thanks Connor! 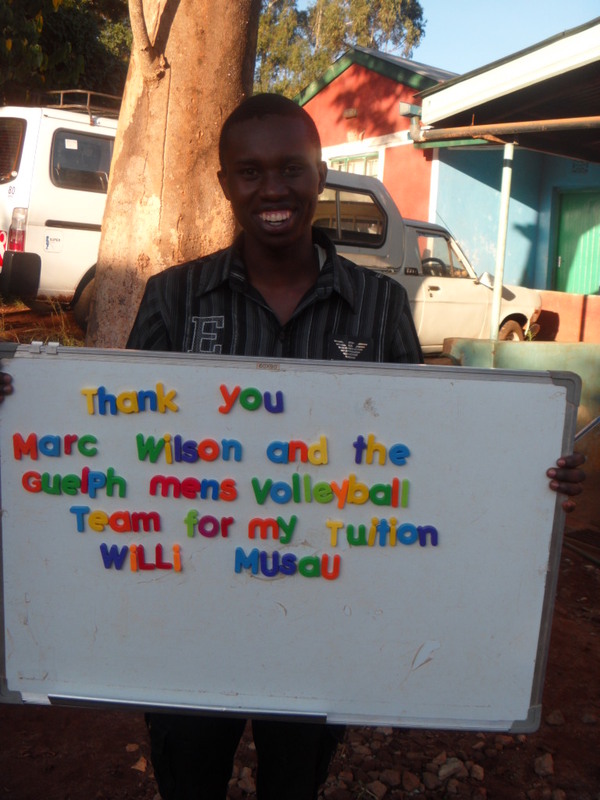 In addition to just finishing up his degree in International Development from Guelph, Connor is also an emerging documentary film maker. 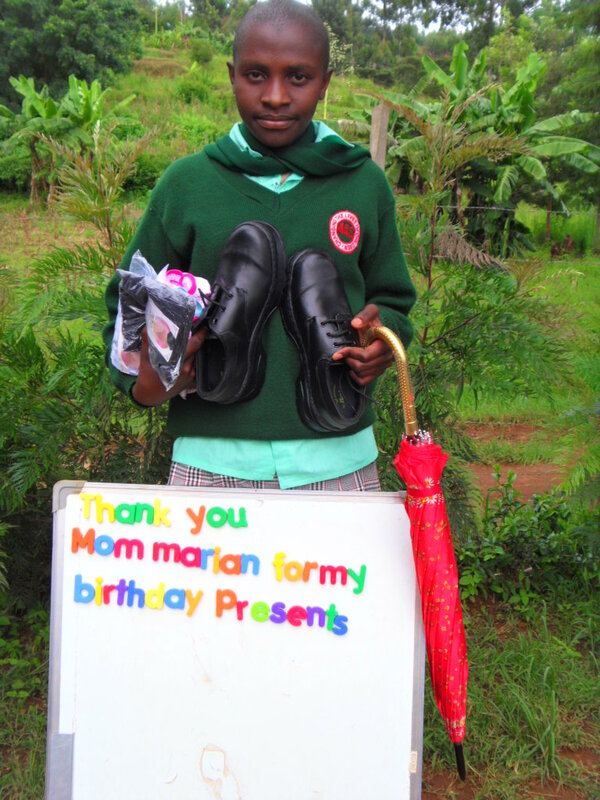 He has recently made a wonderful short feature about one of our children, Baraka, and the book that is about this remarkable young man (My Name is Blessing). He is submitting it to film festivals but at some point in the not too distant future it might be available to view from this website. 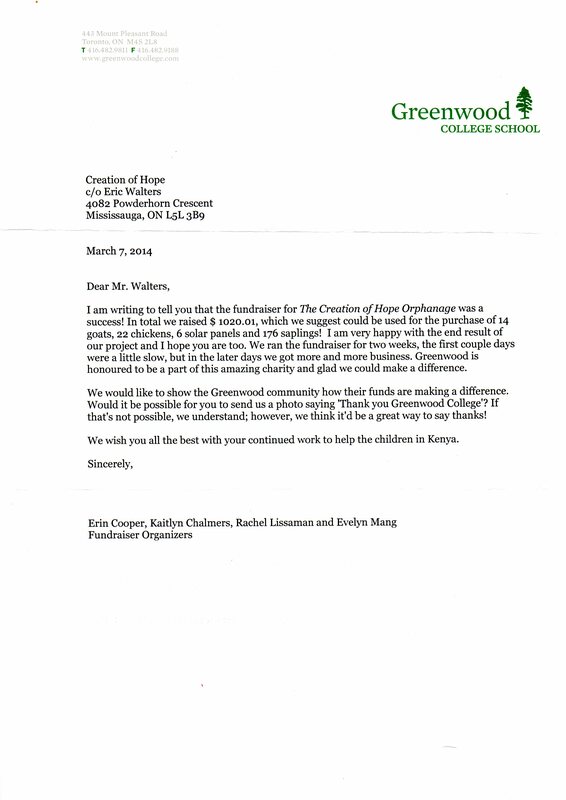 Father Michael Troy Catholic School, under the direction of Erin Winch, made a donation of $274.00 which will be used to supplement our monthly food distribution to orphans and needy children in the community. 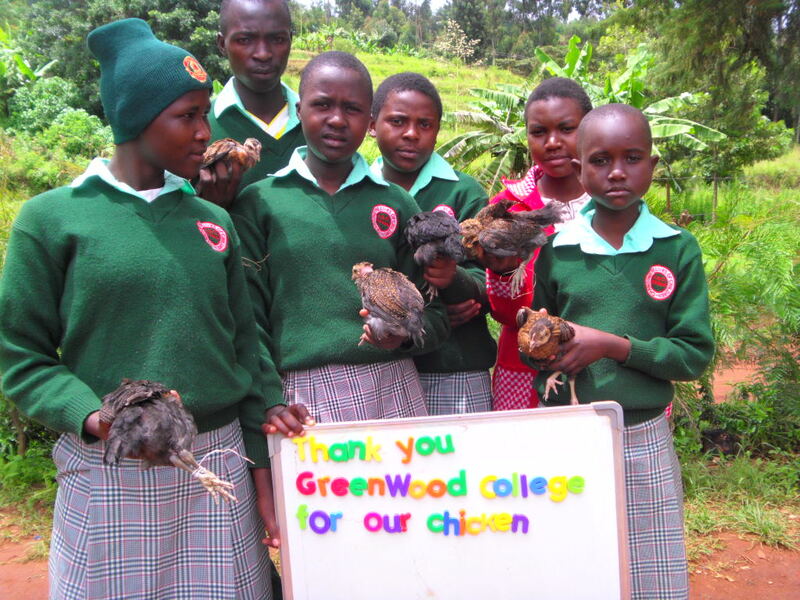 This is the second donation from this group of wonderful students! 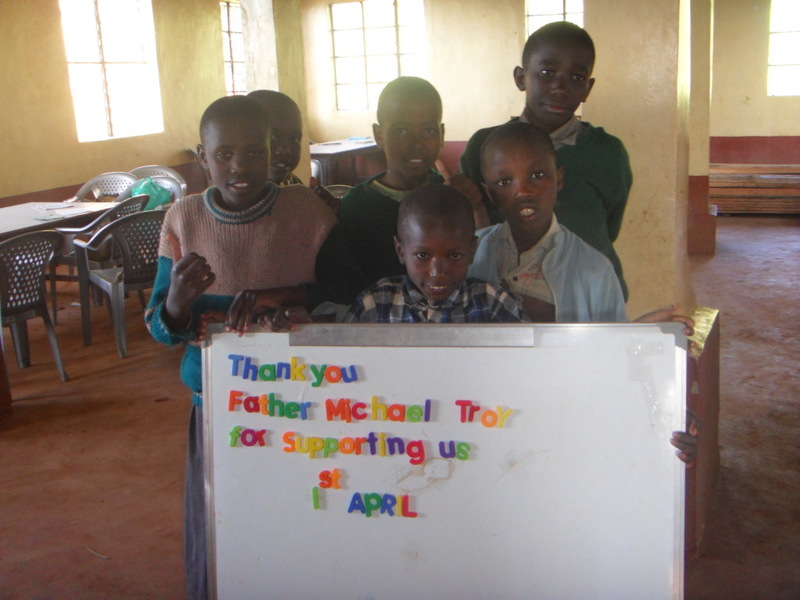 Father Michael J. McGivney School, under the leadership of Martin Brown, made a donation of $1000.00. This generous donation will be used to fund daily support for the residence for thirteen days and the remaining $25.00 will go toward our monthly food distribution to the community. On March 24th, East Oxford had the pleasure of hosting Eric Walters for a full day. Eric Walters, a well-known Canadian author, has written over 90 books. His dynamic presentation enthralled each audience, from early years to grade 8. 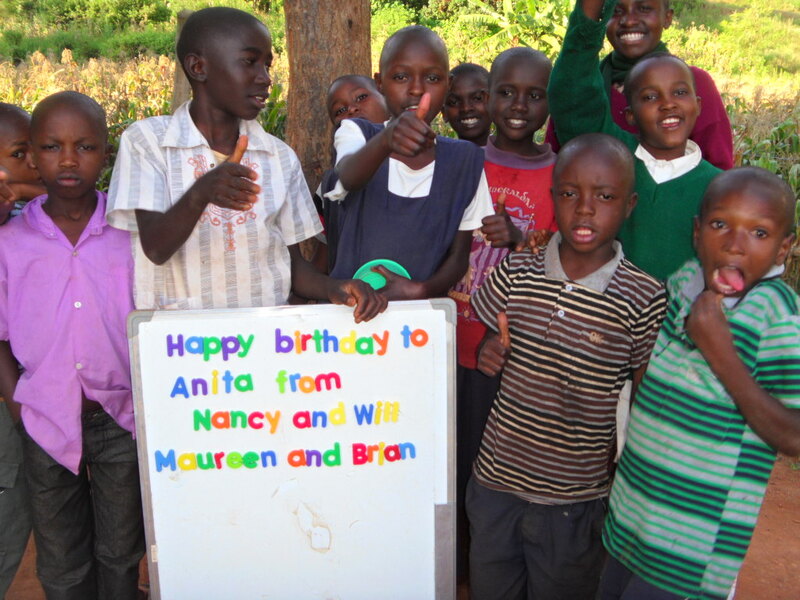 In addition to being an author, Eric Walters is a philanthropist who co-founded the charity Creation of Hope (www.creationofhope.com) after a chance meeting with a young orphan boy while visiting Kenya. 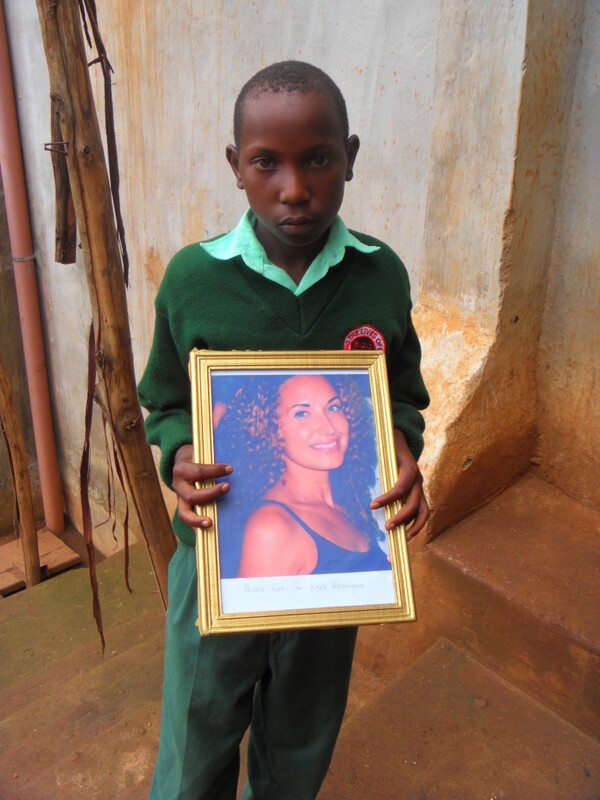 The young orphan boy, Mutuku, is the main character in his latest picture book My Name is Blessing. 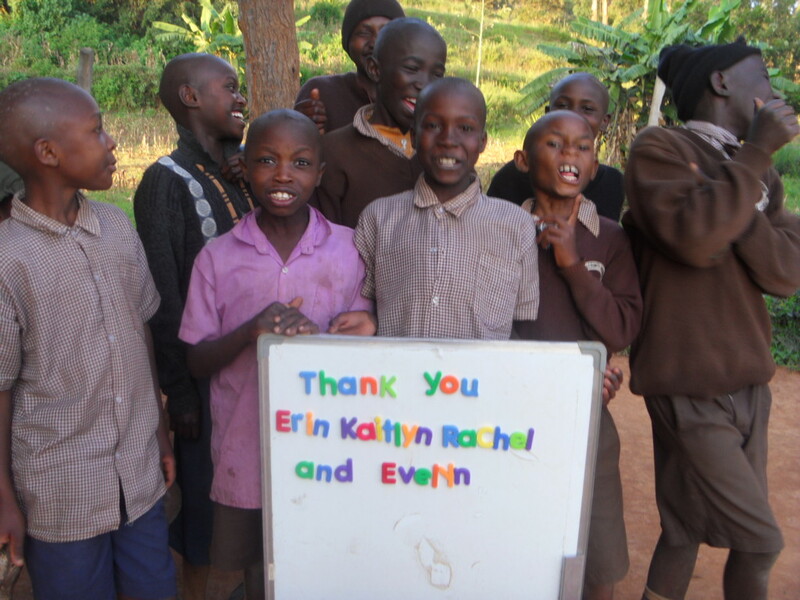 The Creation of Hope, which started small, providing outreach to 4, has grown to a project which supports over 400 orphans in the Mbooni Region in Kenya. 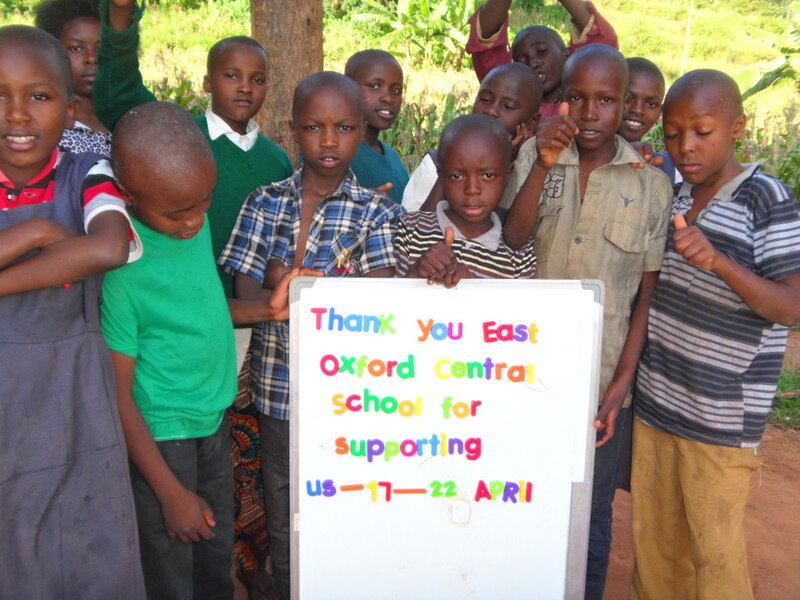 Once we learned of the Creation of Hope, we at East Oxford decided to do something. We kicked off “Chores for Charity Week”. 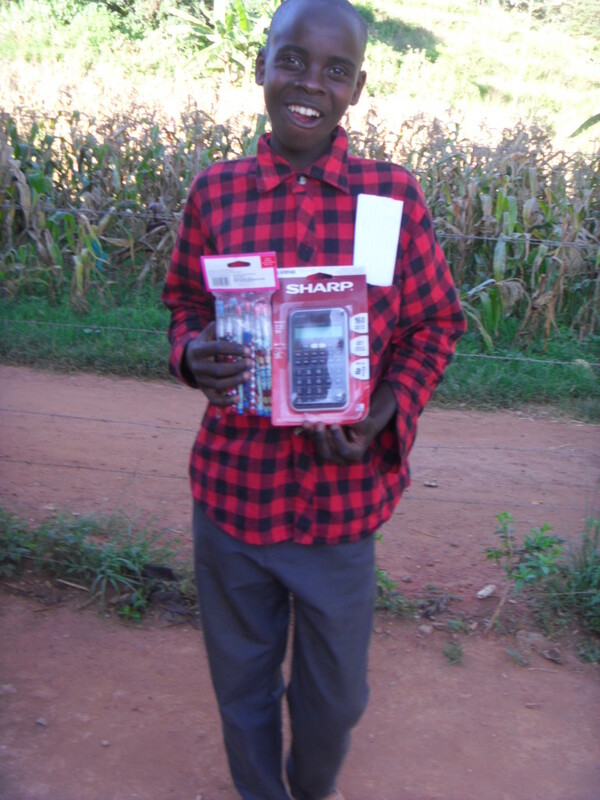 Students were asked to complete chores at home for a fee that was donated to the Creation of Hope. We were very excited and proud to all witness Eric Walters receiving a surprise donation cheque made out in the amount of $430. East Oxford students did an unbelievable job helping out others by helping at home. Since his visit, we have learned that East Oxford will be the ‘parents’ of the Creation of Hope program from April 17 to 22, 2014. We have ensured that on that date 53 children are fed, provided routine medical treatment, school supplies, the salaries of the matron, cook, night watchman, tutor and caretaker paid, the electricity, water and sanitation for the entire building provided. 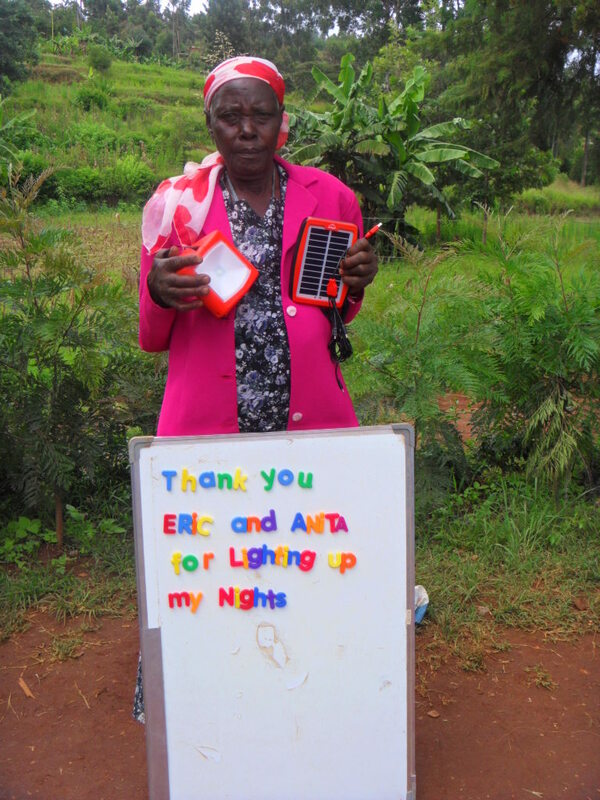 Congratulations on your contribution EO, you should be very proud! Sophiasburgh Central School, under the direction of Jeff Stone, held a spaghetti lunch one day and a bake sale the next. They raised $446.00! This money is going to be used for daily support for 6 days for the program. 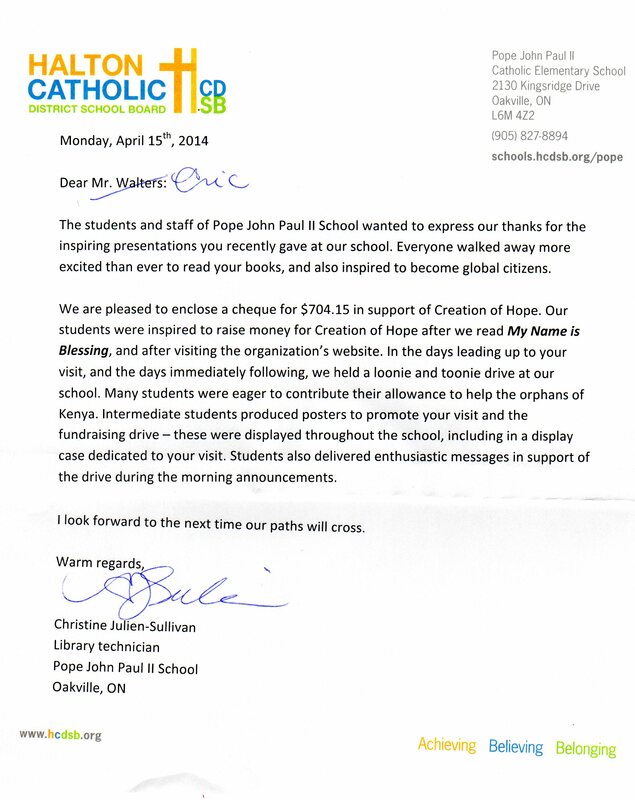 Ecole Secondaire Sainte-Famille, under the direction of Lynn Nolan-Fox, donated $400.00 to our organization. 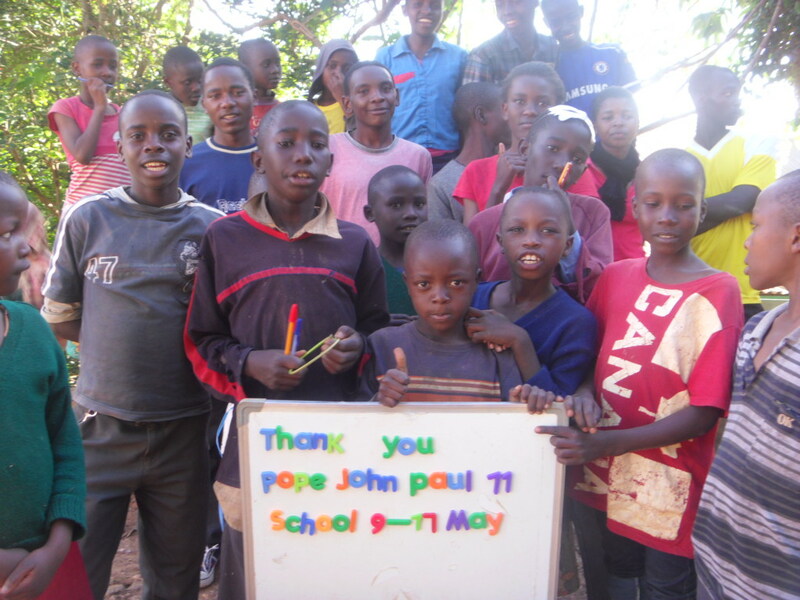 This money will be directed to daily support for the residence. 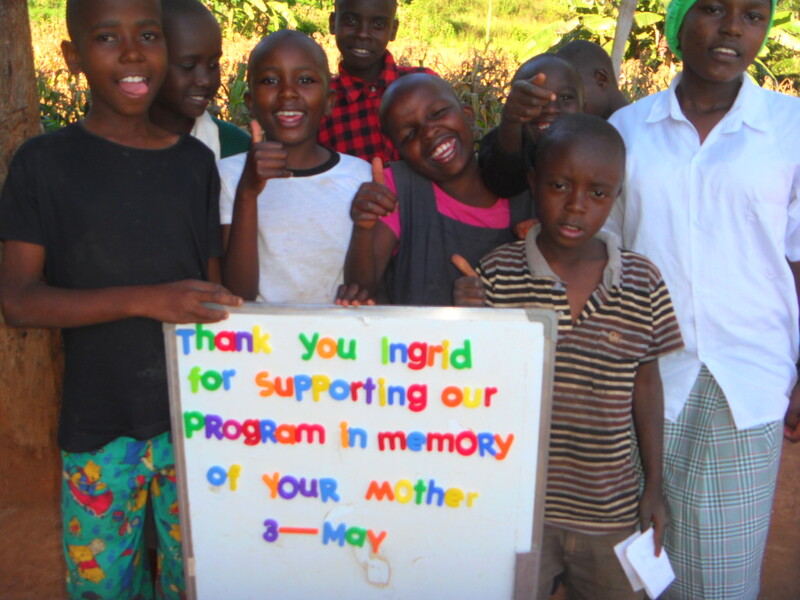 Ingrid Langhorst made a donation in memory of her mother, Karin’s birthday. 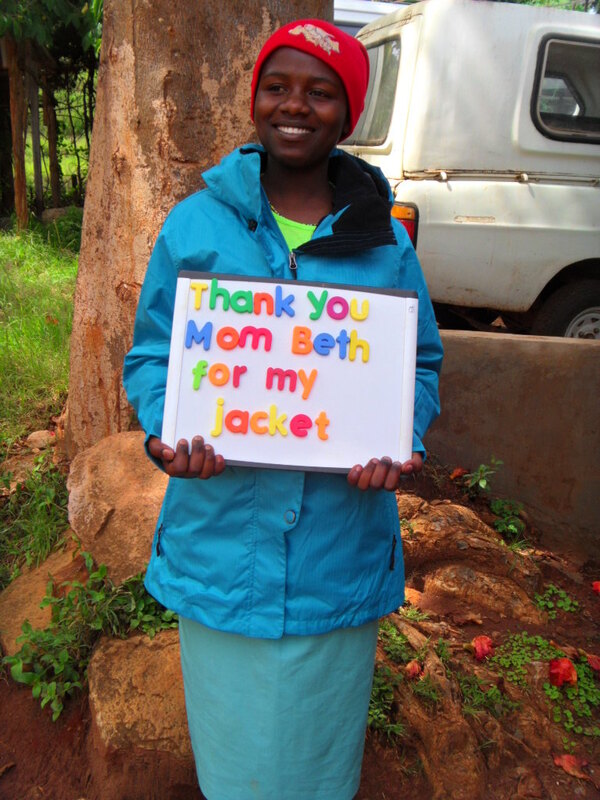 Natasha Bacchus-Buschkiel made a generous donation to the program. 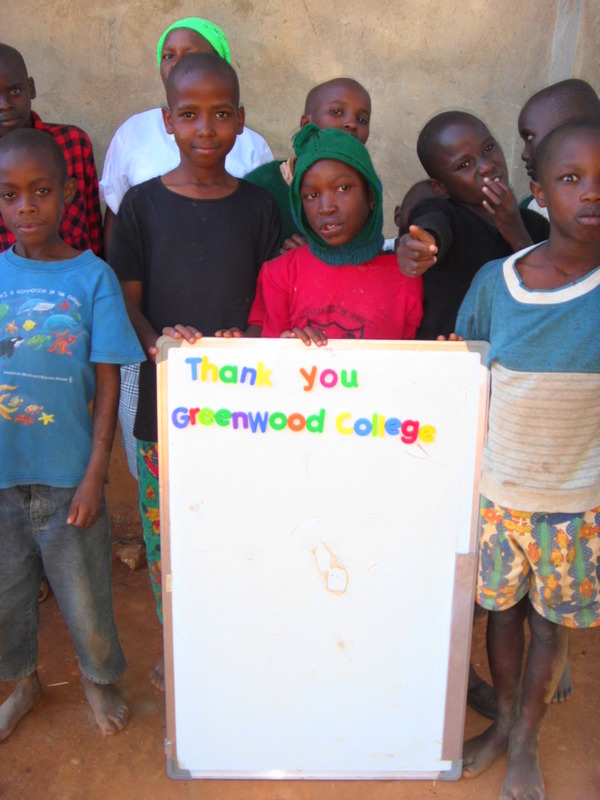 This money will be used to provide daily support for the Residence. 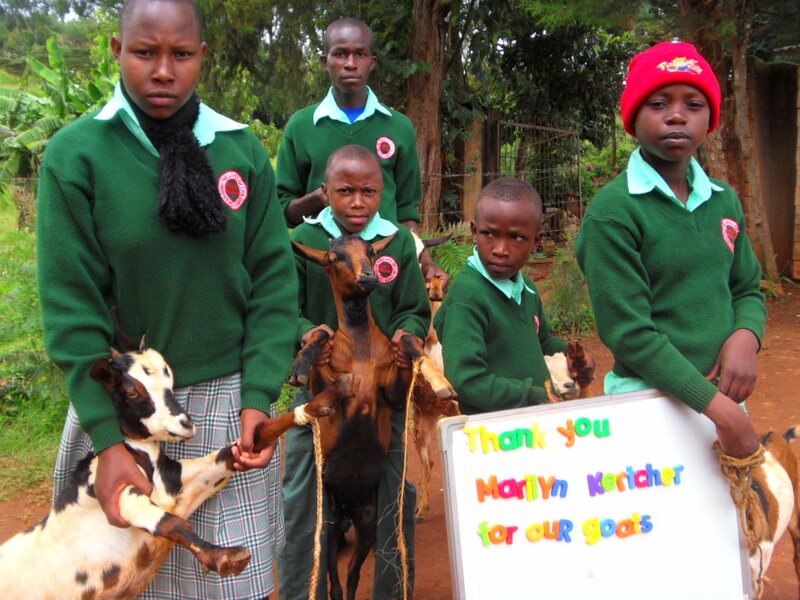 A generous donation from Steve Pitt will go toward a goat to be named Terzo and also to supplement monthly food distribution. While all donations are so very welcome there’s always something about a donation coming from young people that warms my heart. 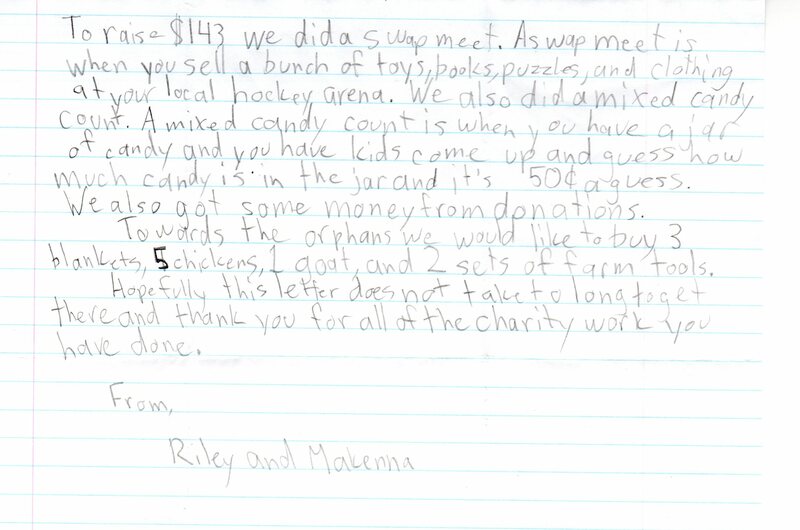 Below is a letter form Riley and Makenna documenting how they raised the money and how they want it spent. They will receive pictures of the items when they are purchased. 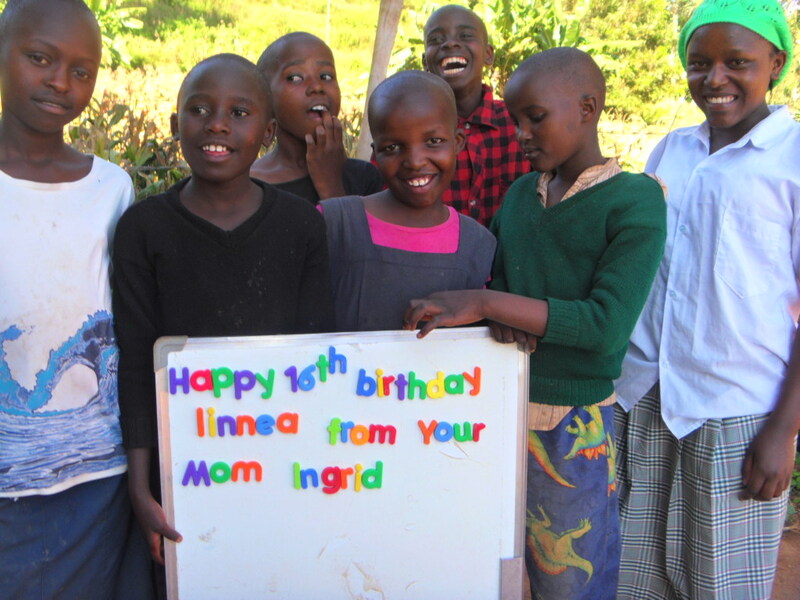 $75.00 provides for food for the 53 children in the Rolling Hills Residence, their routine medical care, school supplies, the salaries of the matron, cook, tutor, night watchman and caretaker, the electricity, water and sanitation for the entire building. Here are this month’s benefactors. Two very kind Mississauga Veterinarians are honoured for their kindness. You’ll notice in the two pictures above that two groups have been given credit for May 3. A correction will be made to provide Sophiasburg with one more day so that they are supporting from 4 – 8 May and a day still to be assigned. 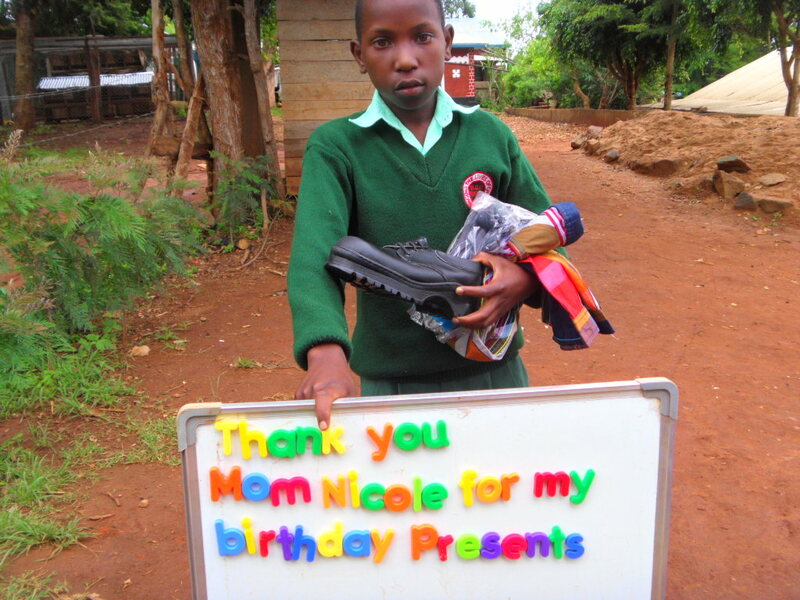 Kyalo with his sponsor new Nicole who provided him with a birthday gift!